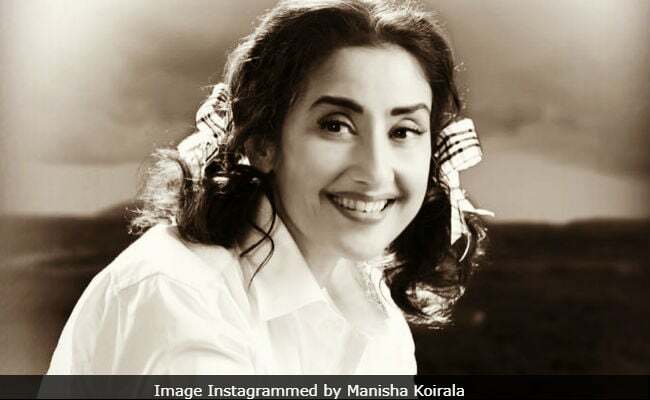 Actress Manisha Koirala, who will be seen portraying actress and Sanjay Dutt's mother Nargis Dutt in upcoming biopic Sanju, gave us a sneak-peek of her look from the sets of the film and shared a greyscale picture of herself, where she can be seen dressed as Nargis. Manisha explained how a lot of effort was put into recreating different looks of Nargis. She wrote: "Many different looks were tried on, through various photographs and books and documentaries... Here are few for you guys... Peep in to what goes on to create a look. Amongst other things we tried many hair styles." In the picture, Manisha can be seen wearing a white shirt and her hair can be seen tied in pigtails. Manisha also posted another picture of her dressing room, from the sets of Sanju, with multiple pictures of Nargis, which were used for reference purposes. 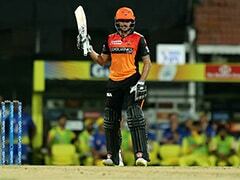 Take a look at Manisha's post here. Apart from the external appearance, Manisha did a lot of research on Nargis in order to imbibe her mannerisms. During a recent interview, Manisha told news agency IANS: "For Sanju, I did a lot of research. I have tried to capture her essence, the core of her being. Just looking like her, or combing my hair the way she did, is not enough. I had to understand her spirit, her soul. Just how much I've succeeded, we will soon know." "The film focuses on Nargis the doting mother who wanted to protect her son from the truth about her health until his first film was released. Unfortunately, she passed away before her son debut film Rocky released. This really broke him," she said. Sanju features Ranbir Kapoor in the titular role. The film also stars Paresh Rawal (as Sunil Dutt), Vicky Kaushal, Sonam Kapoor, Dia Mirza and Anushka Sharma. Directed by Rajkumar Hirani, Sanju will hit the screens on June 29.